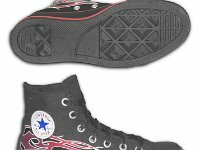 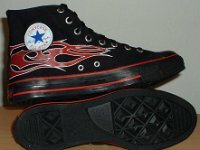 Photo gallery of tattoo print high top chucks. 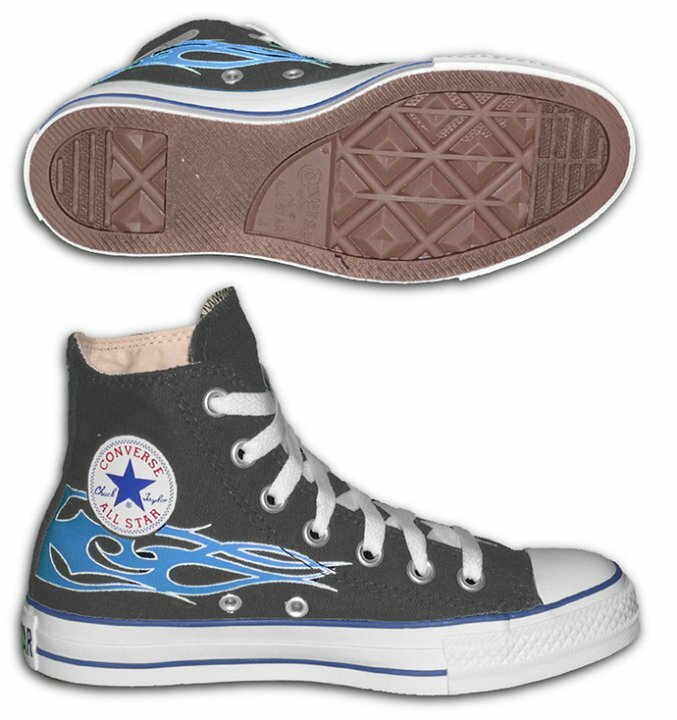 1 Tattoo High Top Chucks Catalog view of a left black and navy blue tattoo high top, showing sole and inside patch views. 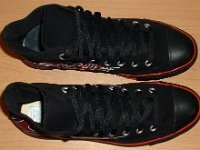 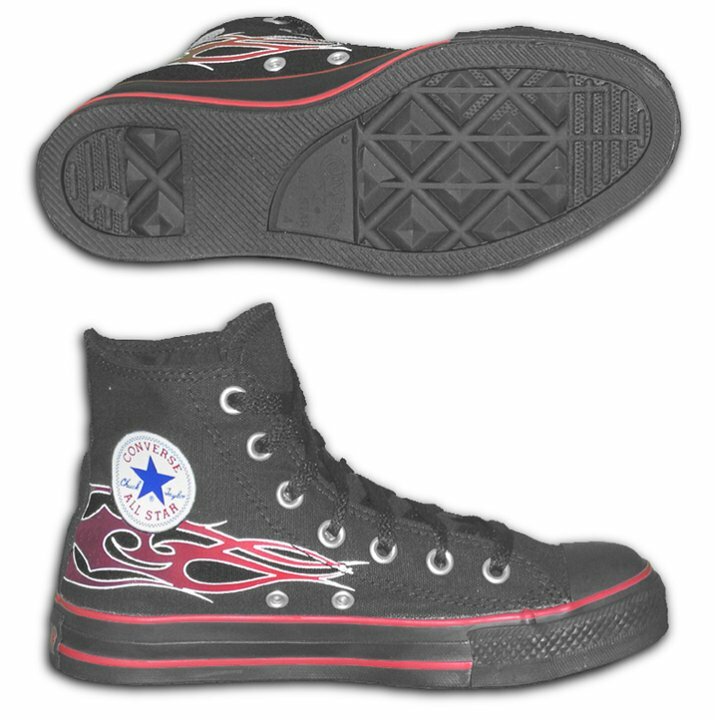 2 Tattoo High Top Chucks Catalog view of a left monochrome black and red tattoo high top, showing sole and inside patch views. 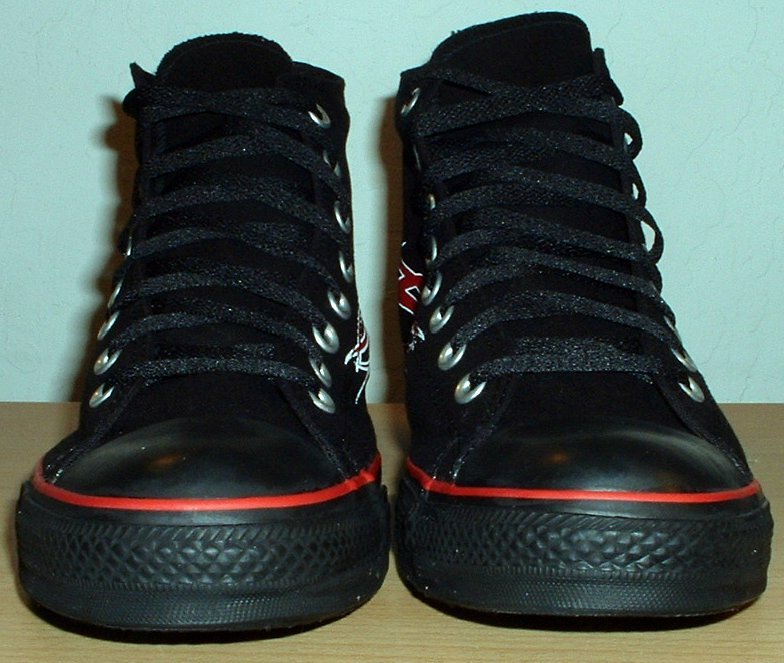 3 Tattoo High Top Chucks Inside patch view of a left monochrome black and red tattoo high top. 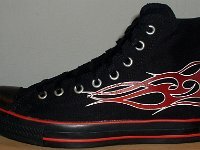 4 Tattoo High Top Chucks Outside view of a left monochrome black and red tattoo high top. 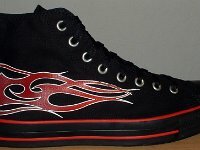 5 Tattoo High Top Chucks Outside view of a right monochrome black and red tattoo high top. 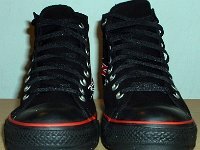 6 Tattoo High Top Chucks Inside patch view of a right monochrome black and red tattoo high top. 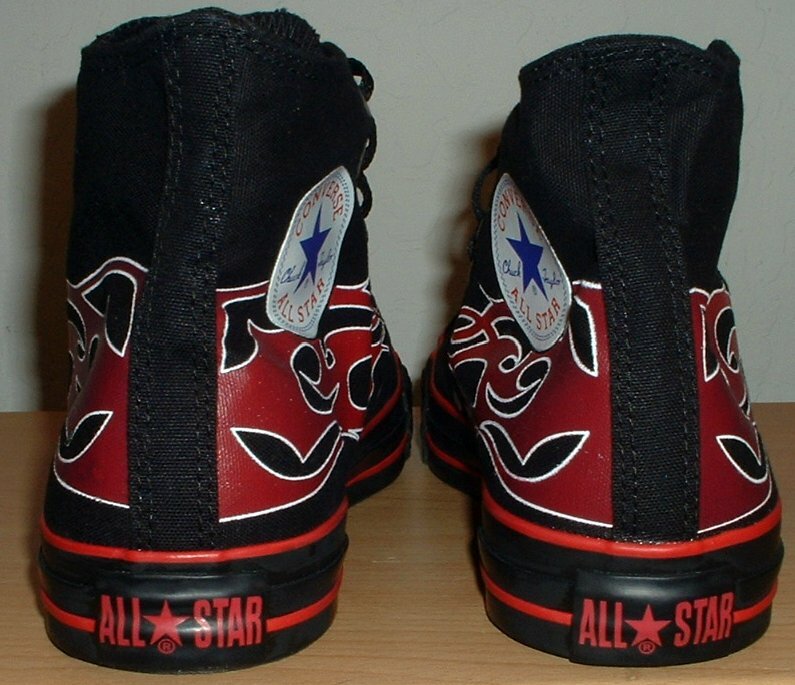 7 Tattoo High Top Chucks Rear view of monochrome black and red tattoo high tops. 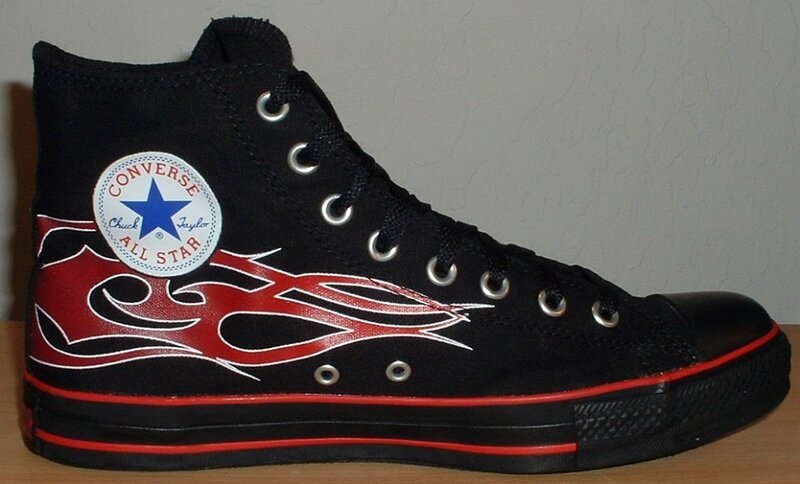 8 Tattoo High Top Chucks Front view of monochrome black and red tattoo high tops. 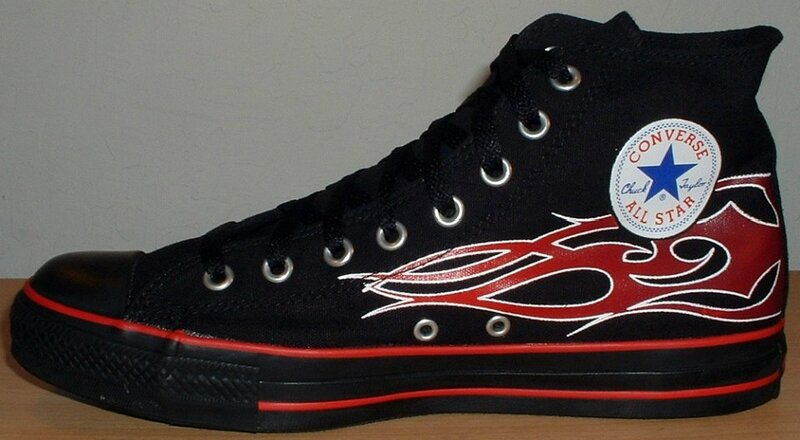 9 Tattoo High Top Chucks Top view of monochrome black and red tattoo high tops. 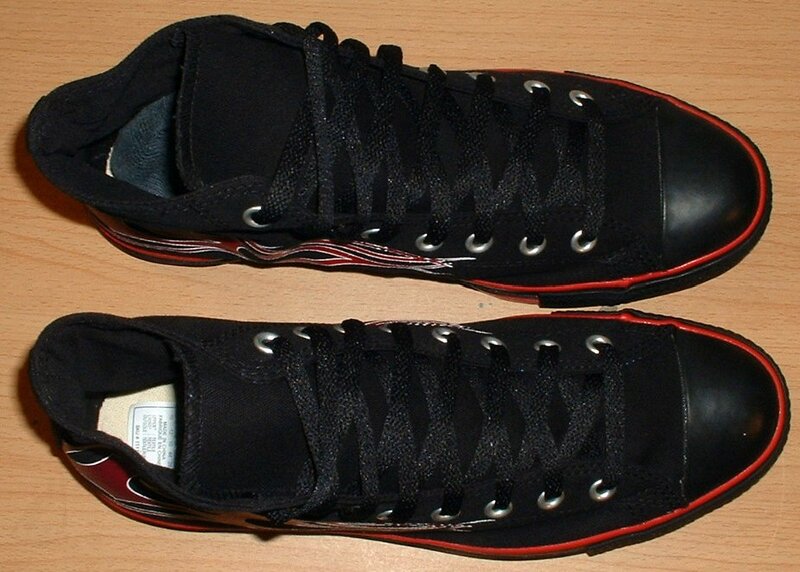 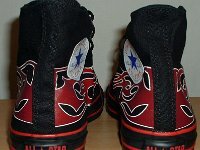 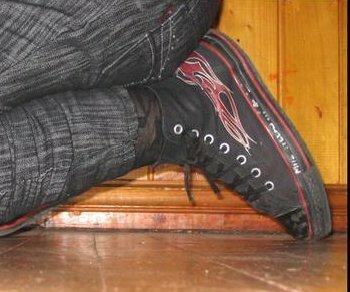 10 Tattoo High Top Chucks Inside patch and sole views of monochrome black and red tattoo high tops. 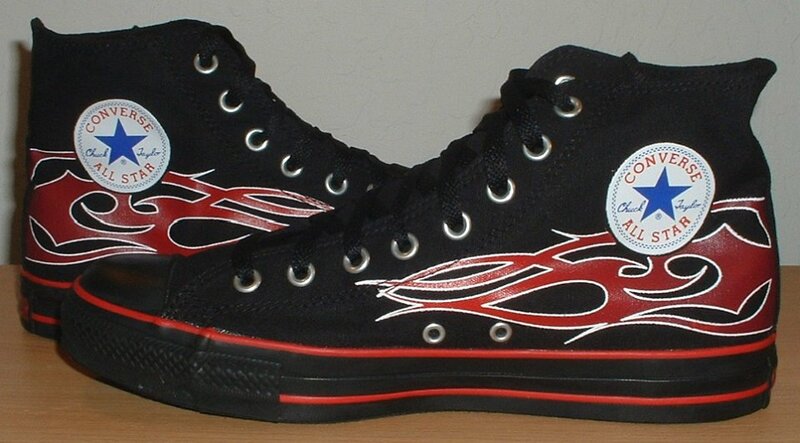 11 Tattoo High Top Chucks Outside views of monochrome black and red tattoo high tops. 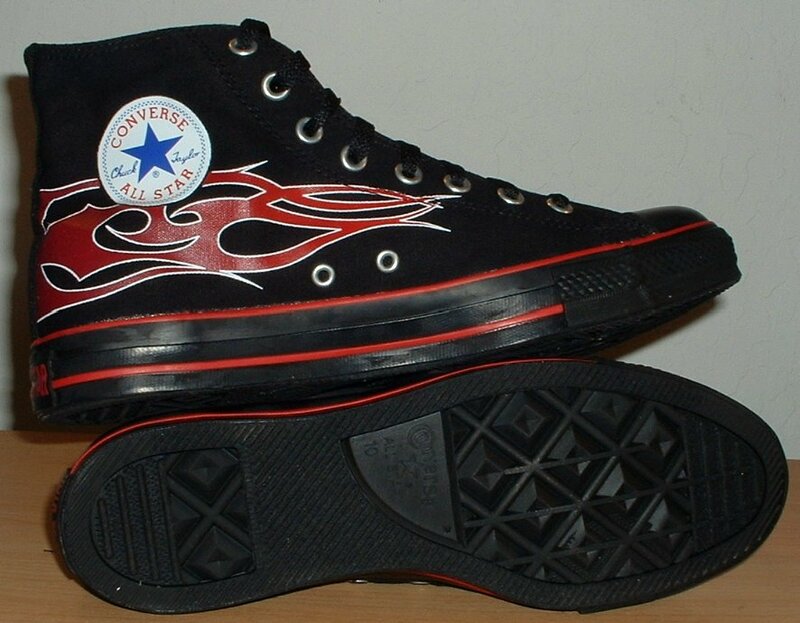 12 Tattoo High Top Chucks Inside patch views of monochrome black and red tattoo high tops. 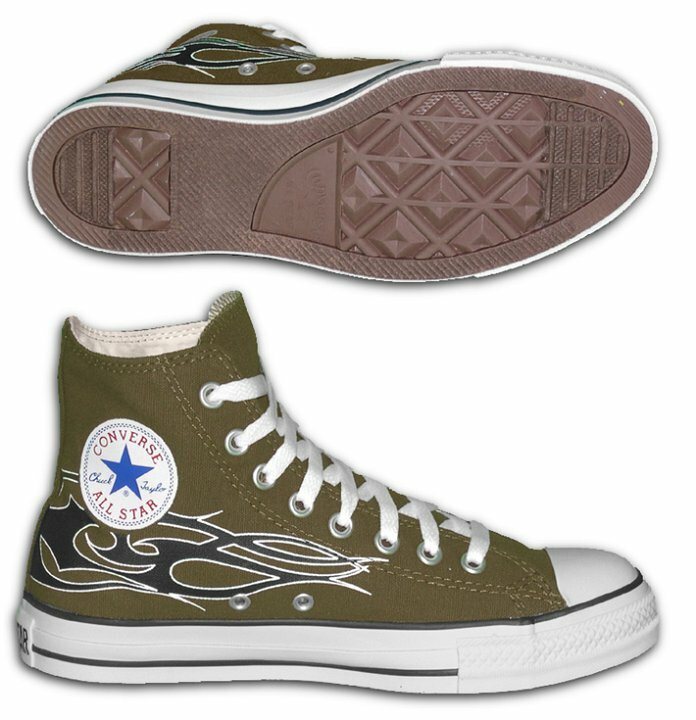 13 Tattoo High Top Chucks Catalog view of a left dark green and black tattoo high top, showing sole and inside patch views. 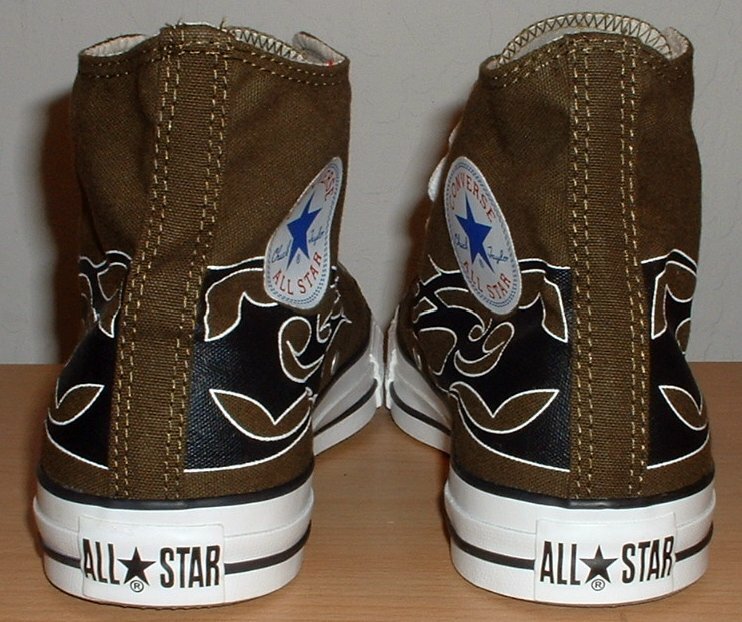 14 Tattoo High Top Chucks Inside patch view of a left dark green and black tattoo high top. 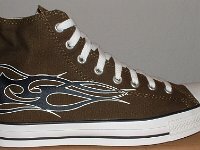 15 Tattoo High Top Chucks Outside view of a left dark green and black tattoo high top. 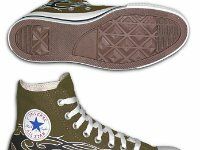 16 Tattoo High Top Chucks Inside patch view of a right dark green and black tattoo high top. 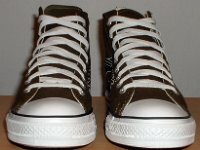 17 Tattoo High Top Chucks Outside view of a right dark green and black tattoo high top. 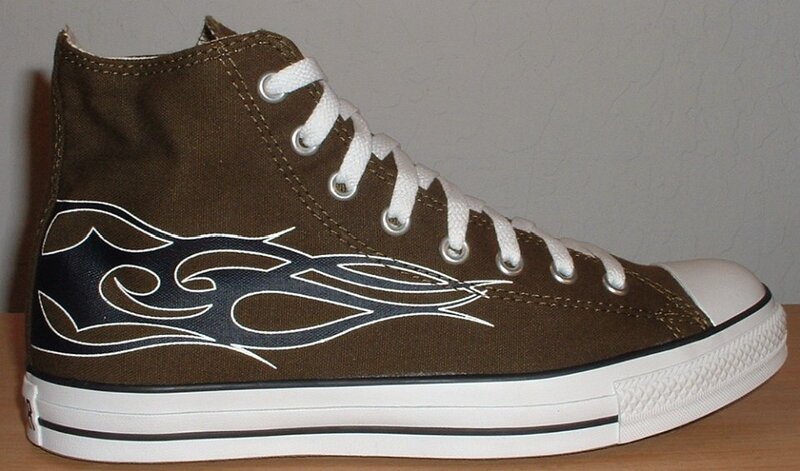 18 Tattoo High Top Chucks Rear view of dark green and black tattoo high tops. 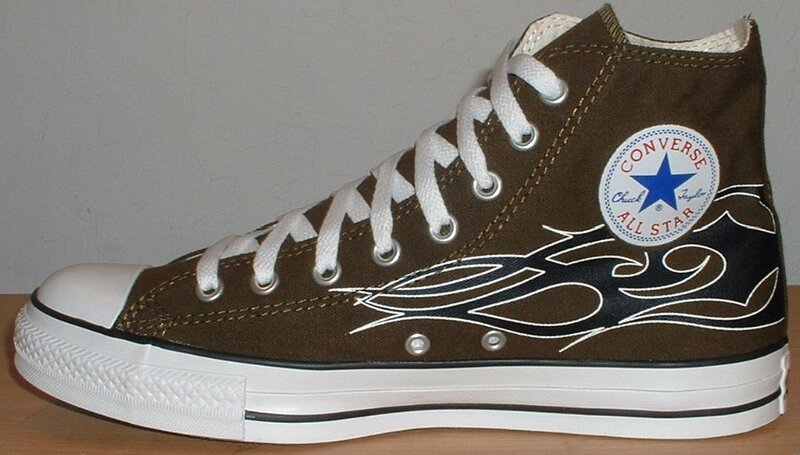 19 Tattoo High Top Chucks Front view of dark green and black tattoo high tops. 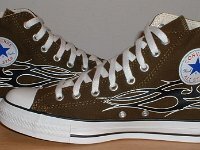 20 Tattoo High Top Chucks Angled front view of dark green and black tattoo high tops. 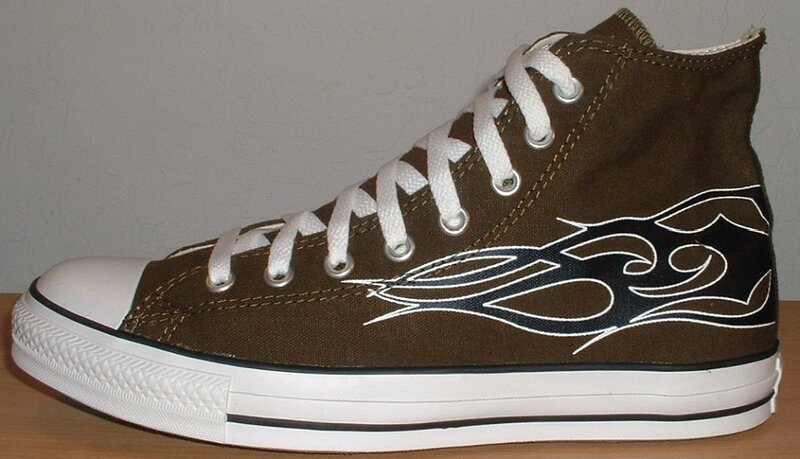 21 Tattoo High Top Chucks Top view of dark green and black tattoo high tops. 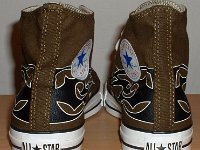 22 Tattoo High Top Chucks Inside patch views of dark green and black tattoo high tops. 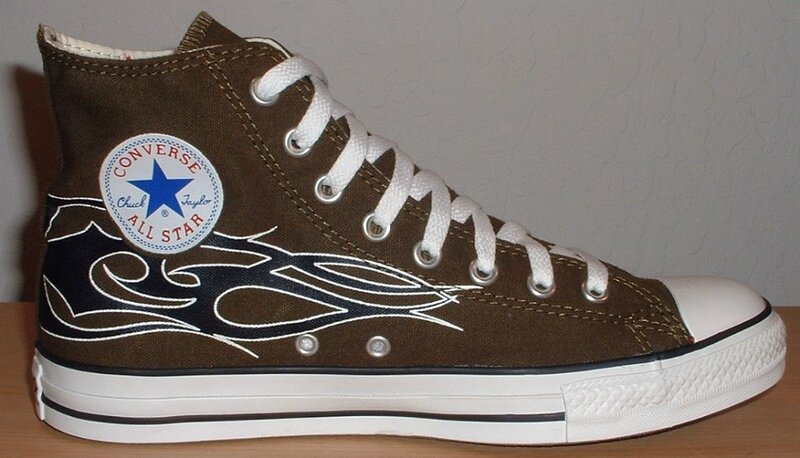 23 Tattoo High Top Chucks Outside views of dark green and black tattoo high tops. 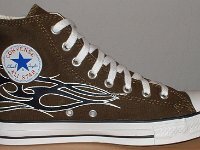 24 Tattoo High Top Chucks Inside patch and sole views of dark green and black tattoo high tops. 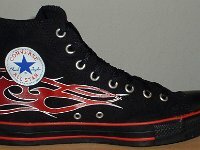 25 Tattoo High Top Chucks Wearing black and red tatto high tops. 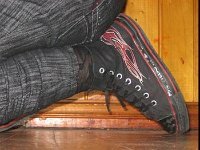 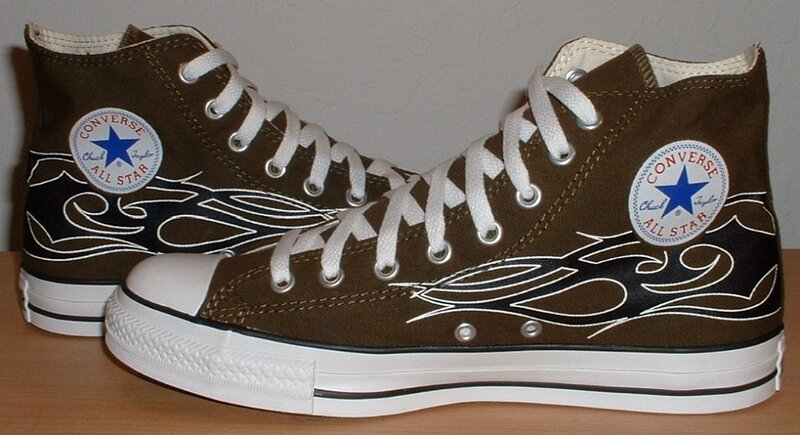 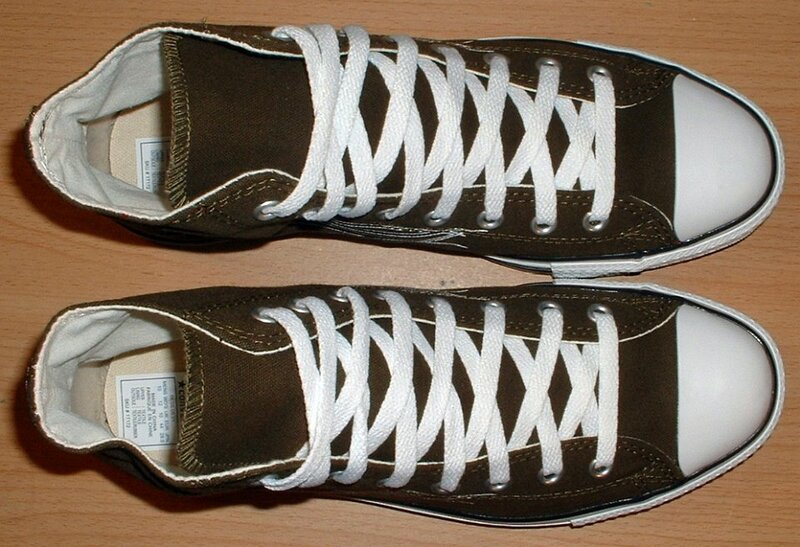 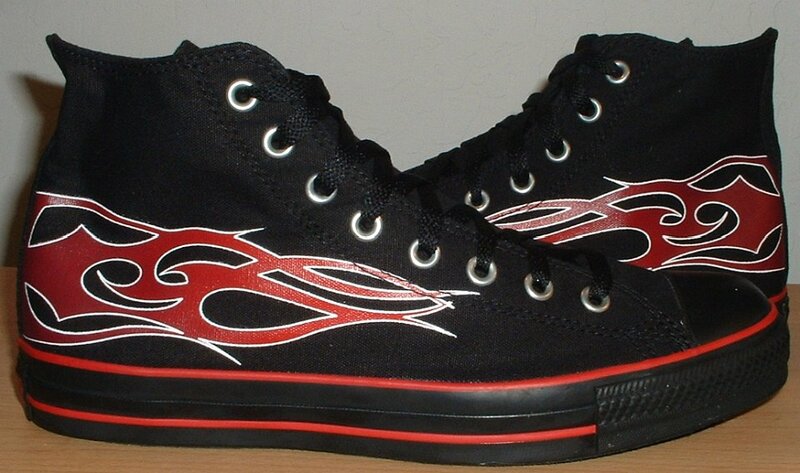 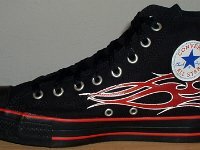 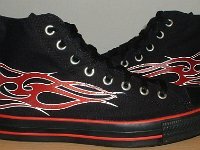 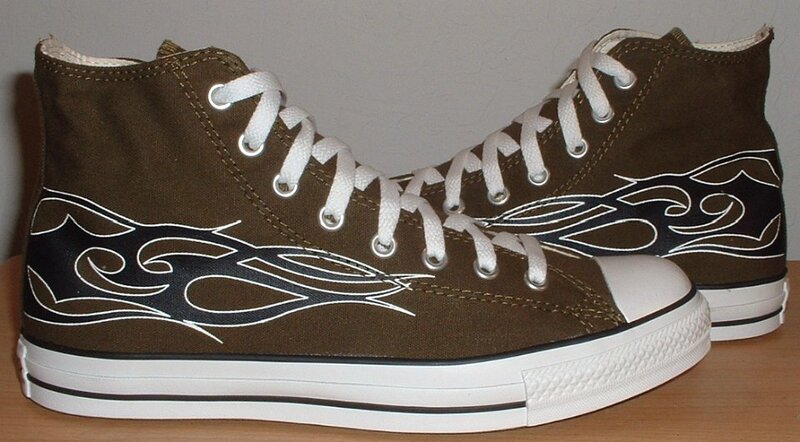 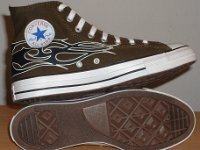 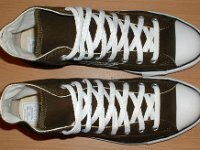 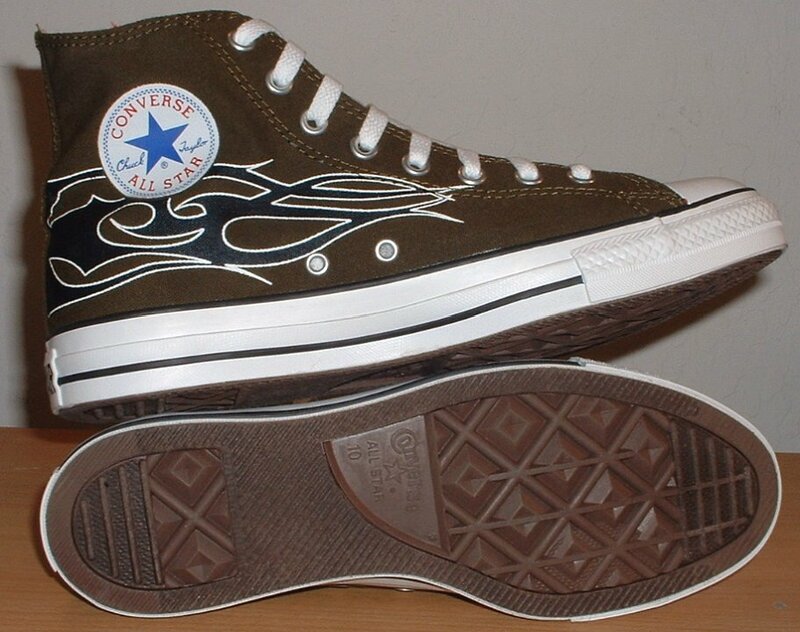 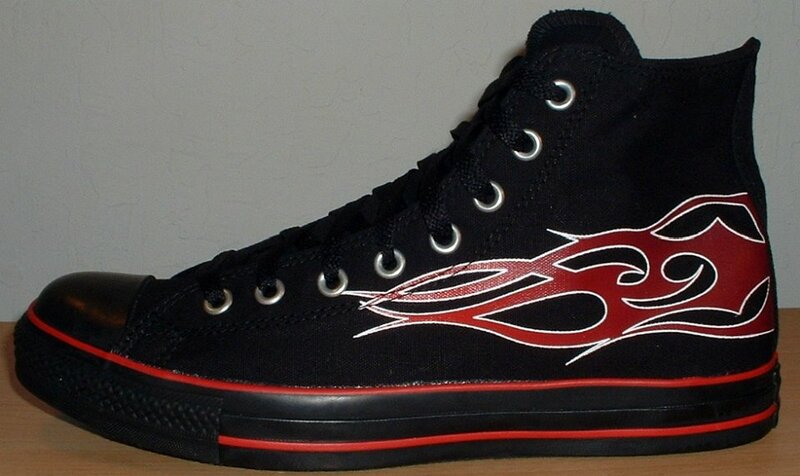 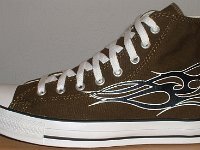 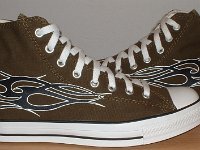 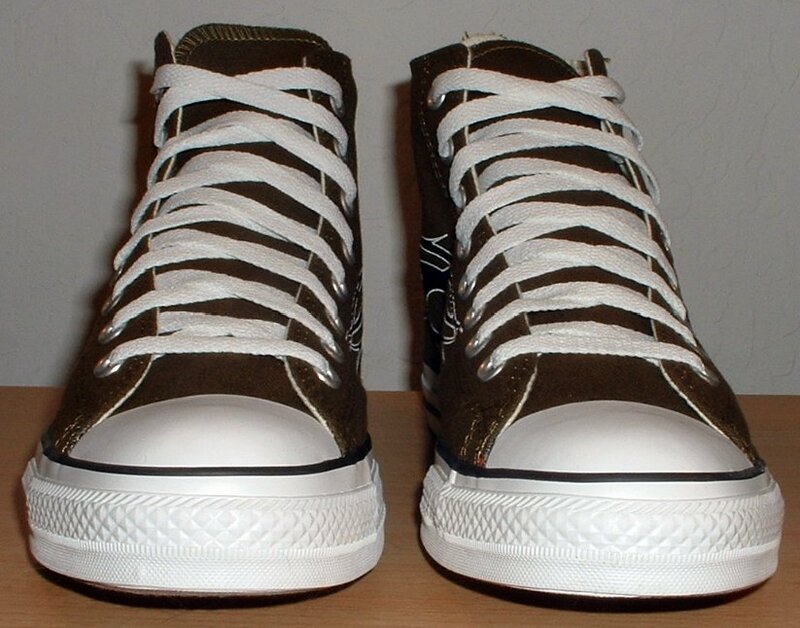 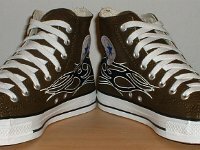 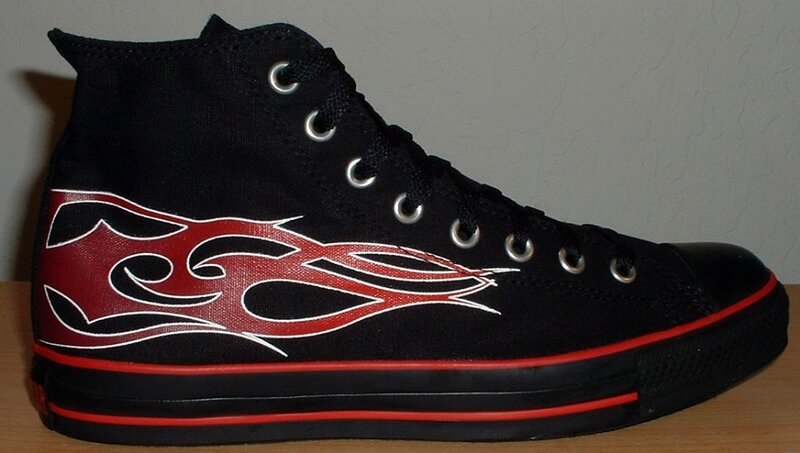 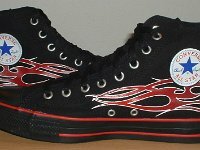 Tattoo chucks were introduced in 2005. 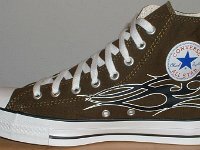 They are high tops that feature a two-color look with a tattoo filigree design on both sides of each shoe.